Hello Pluggers! It’s been another busy month for us. We’ve launched a new firmware, a new iOS and Android app, and made significant changes to our cloud services. We are confident you will benefit from these updates and enjoy a great end-user experience. We’re still the only plug to work with all voice platforms without the need for any additional hardware and we’re pretty proud of that! We’ve written a couple of blogs on IFTTT this month too. We really don’t want to go on about it too much but we are sure that if you check it out, you will absolutely love it! IFTTT is a great way to get your apps and devices talking to each other. For a number of people, the prospect of integrating WIFIPLUG with another app might seem pretty daunting but it’s honestly a piece of cake and you can find out how to do it here. We’ll even help you to get set up if you’re struggling! Once you get up and running, you can do things like set your lamp to come on when the sun goes down. IFTTT automatically updates the timers for you according to daylight changes and simply put, it’s brilliant! There are thousands of possibilities – in our office, we have the lights flashing every time the International Space Station goes by – but we appreciate that’s not for everyone (even though it’s probably the coolest thing we’ve ever heard of). We have put together a ‘Fun Things to Try’ page for our users so they can take advantage of some of the great uses for WIFIPLUG. So what’s the future looking like? Pretty good actually! We are developing some very cool features with Alexa, Siri and Google so watch this space for some combined functionality! We always like to dedicate some text to thanking our early adopter customers and acknowledge that without you, none of this would be possible. As we’ve previously said, we’re a small company with big dreams and your commitment to us makes those dreams a reality – so once again, from the bottom of our hearts, thank you. This week, the Apple HomePod’s launch was finally announced and we cannot contain our excitement! We are absolutely desperate to get our hands on one! As always, Apple has been predictably secretive about the launch of the HomePod, pre-order date of the HomePod, functionality of the HomePod – in fact, they’ve kept shtum about everything. They’ve got a real knack of creating hype by remaining quiet; it’s certainly worked with us! We couldn’t be keener! The thing we’re most excited about here at WIFIPLUG is HomePod’s Siri intelligence. WIFIPLUG is HomeKit enabled, which means it will talk to Siri as a friend. So, if you fancy turning the lamp on, it’s a simple case of asking Siri to make it happen. For us, it’s the whole reason we decided to run with HomeKit hardware and we are hopeful (in fact we’re certain!) that the Apple’s offering will rival the other SMART assistants already on the market. We’re the only SMART Plug able to speak all languages so in theory, you could tell Siri to turn a lamp on and then get Alexa to turn it back off. And in a normal family home, with a variety of technology, preferences for manufacturers and a love for new gadgets, that’s something that our users are likely to want to do. What’s more, HomePod will also act as a HomeKit hub, allowing users to control their devices from outside of the home. For WIFIPLUG users, this isn’t an issue as you can already use our app but if you prefer to use the Home app for particular tasks, now you can! All in all, we are super excited about HomePod and will update everyone in due course when we’ve got some cool videos to share. If you are considering a move into SMART Home, you will be faced with lots (and lots!) of choice. A SMART plug is a plug socket adapter that can be plugged into a conventional socket, making any appliance remote-controllable (usually from your phone). What Do SMART Plugs Do? SMART Plugs (sometimes referred to as SMART switches or SMART outlets) allow you to control your electrical appliances from a SMART device such as a mobile phone. So let’s say you have a lamp in your living room that you want to be able to control from anywhere (in the world! ), you can do so by simply plugging the lamp into a WIFIPLUG. Or perhaps you want to turn a coffee machine on from your bed in the morning so you can go downstairs to a nice warm drink. With WIFIPLUG, the electrical world is your oyster. The issue that you might be facing is: which SMART plug is right for me? This is where it gets slightly more complicated. As well as controlling your plug from your phone, you can also control it from SMART speakers such as Alexa or Google Assistant (or even the new Apple HomePod). If you want to voice operate your plug (by saying something like: Hey Siri, turn on the lamp), you have to ensure that your plug is compatible with the SMART speaker you are using. 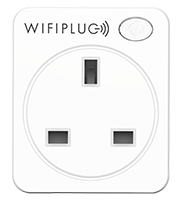 The great news is – WIFIPLUG is compatible with just about everything. It doesn’t matter if you have an iPhone, Android, Amazon Alexa, Google Assistant, Apple HomePod – or a combination of them all for that matter! WIFIPLUG speaks all languages and thanks to our state-of-the-art app, it works with just about every platform there is. It Sounds Hard To Set Up – Is It? We appreciate that some customers might not be too tech-savvy. That’s why we’ve partnered with Apple to make connecting your plug a piece of cake. If you have an Apple phone, you can simply point our app at the plug using your camera and away you go! You can get online in a matter of seconds. Similarly with an Android, just put the plug into pair mode, open our app and you’re ready to go. Why Should I Buy A WIFIPLUG SMART Plug? WIFIPLUG is the only SMART Plug in the world to speak all languages and have free lifetime access to our app. A number of SMART plugs require you to buy additional hardware – especially if you want to control your plugs from outside the house – these are called bridges, hubs or gateways. With WIFIPLUG, you can control your plug from anywhere in the WORLD using our app and absolutely no additional hardware! Not only that, you can see in real-time what energy your electrical device is using. Sold? Why not place an order today by clicking here. We’re going IFTTT crazy here at WIFIPLUG! We absolutely love IFTTT and we believe that you will too when you realise just what it’s capable of! In our office, we have been huge fans of IFTTT for several years and were lucky enough to integrate with them early on. So what is IFTTT and how can I use it with my WIFIPLUG? We think that’s pretty amazing! So let’s have a walk-through and see how to do it! First of all, open the IFTTT app (download it from your respective app store and sign up first). Click the plus button on the top right to get to this page. Then click on ‘this’. Search ‘weather’ and then click ‘Weather Underground’. Search WIFIPLUG and select us! Select your lamp (or whatever you want to turn on). Hey presto – the lights will now come on when the sun goes down! Cool huh? WIFIPLUG – Rocket the Potential In Your Socket – What’s New, CES, Siri, Alexa, Google and Much More! 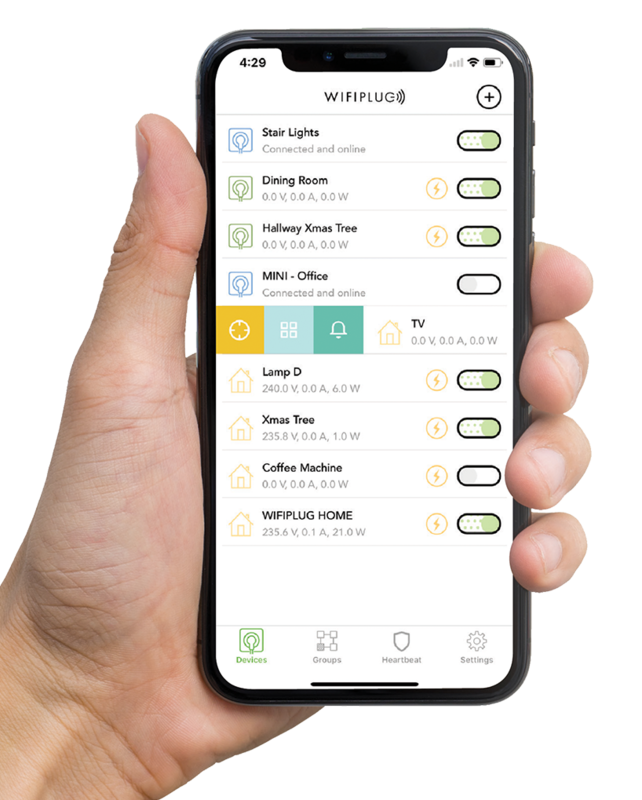 It’s been a huge month for WIFIPLUG – our new product, WIFIPLUG HOME hit the shelves with an Apple-certified HomeKit chip inside, our new app was launched and next week, we are going to Las Vegas to exhibit our kit at CES. This really is the crème-de-la-crème of technology exhibitions and we hope that WIFIPLUG becomes the standout product in our industry. We have been entered for several innovation awards for our new features and we are hopeful that we will gain plenty of recognition in a week’s time. If you follow us, you can keep up-to-date with how we get on. So what’s new this month? Well, first of all and as always, we would like to thank our customers. We’ve had some incredible feedback on WIFIPLUG HOME and we are genuinely thrilled that so many of you love it as much as we do! The HomeKit functionality seems to be going down a storm and our new Apple-certification means that WIFIPLUG integrates seamlessly with your Apple TVs, iPhones and other HomeKit accessories. But that’s not all – we are the only plug on Planet Earth to work with everything: Alexa, Siri, Google, IFTTT – WIFIPLUG really is the plug that speaks all languages! This month, we are tweaking our back-end infrastructure: our server is being upgraded to handle the load of our ever-increasing customer-base, our databases are being redesigned and we are developing new firmware to roll out with the new app – so it’s all go at WIFIPLUG! Our goal is to deliver the perfect user experience and we’ll stop at nothing to make it happen. So – to CES! We have been talking to just about everyone about our exhibition plans: Apple, Amazon, tech bloggers and journalists, IoT businesses – the list goes on (and on!). Our plan is to make some meaningful connections as our product continues to grow, so watch this space for more HomeKit functionality, added Amazon features to work with Alexa and some super nifty Google and IFTTT commands. What does 2018 have in store? Here’s a hint of things to come: you may have noticed ‘HeartBeat’ mode on the current app. We are working to develop an intuitive AI Engine that will allow the plug to learn user routines meaning when you’re out, people passing will think you’re in. We see this feature (for which we have a patent pending) as the future of SMART technology and by bringing it to market first; we hope to lead the way to the future! As always, we will keep you up to date on Twitter, our website and through other media throughout the month and year. We would like to wish all of our customers a Happy New Year and prosperous 2018. This oughta clear a few things up! Sweet WIDGET for ANDROID, install it now! How to make your Android & WIFIPLUG a lot cooler! Open the widget and position it anywhere on the screen. Welcome to the new WIFIPLUG website. Please feel free to browser our product range and get in touch with any questions.